Monitoring your customer’s foot traffic provides critical information that can be used by management to monitor the success of your offline marketing campaigns. 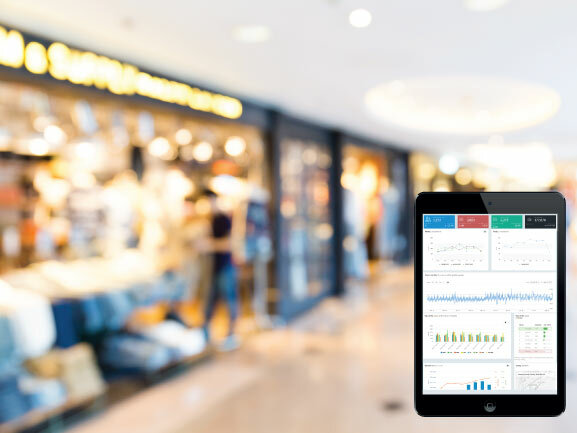 In the Omni channel retailing environment merging foot traffic data with your online and social data can provide powerful analysis for future marketing and advertising budget allocations. Counting the number of people using Government funded resources allows staffing and maintenance schedules to be optimized and costs minimized. Access to our Bellwether allow Managers to access data in real time and monitor multiple venues easily and compare results with historical data. Resources that can be monitored are, Central Business Districts via street / pavement traffic, museums, cultural centres, visitor information centres, public toilets, city / town malls and public transport facilities. With the Bellwether People counting system you can track the number of visitors to the centre hourly; keep a population count to determine how many visitors are in the Centre at any point in the day and we can also provide separate counts for children and adults. This allows Centre Managers to monitor the results and effectiveness of advertising and promotional activity in additional visitor traffic and store visits, plus keep their tenants informed every step of the way. 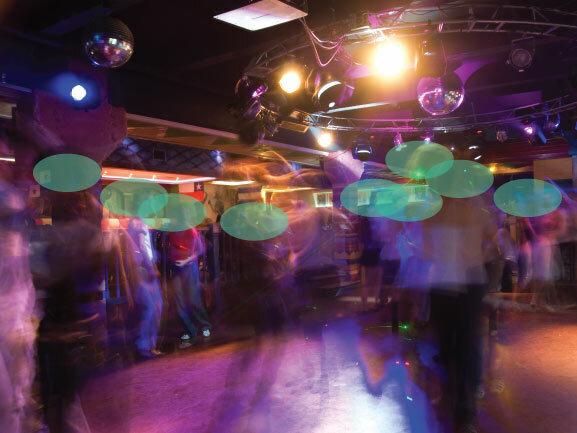 Tracking foot traffic in pubs and clubs allows management to optimize staffing numbers and to gauge the success of advertising and entertainment on attendance. Our Bellwether People Counting systems not only track customer traffic flow, in and out but also report on the critical occupancy levels showing the number of people in the venue in each hour of the day. Increase your top and bottom lines, boost total sales, analyse your marketing spend, increase in store personalisation, create an omni channel environment and reduce capital expenditures. Execute business strategies on the shop level, increase conversion rates, identify missed opportunities and make gains through maximising average $ sales. Adjust staffing rosters based on Foot Fall figures to improve customer service and decrease queue waiting times. Compare and analyse marketing campaigns, assess different marketing platforms based on Foot Fall numbers. Gain an understanding of your shoppers, their in store behaviour, buying patterns and utilise our services to engage with your shopper the moment they enter the store. Reduce the guesswork and maximise the impact of product placement and store design. Identify high and low engagement areas, measure window effectiveness and understand if it is luring customers into the store and ultimately converting their attention into a sale. Once our Bellwether People Counting system is installed onsite all data is instantly captured and sent back via 3G/WIFI to our dashboard. All data is accessible in Real time with the ability to search historical data sets and complete analysis on events, long weekends and marketing campaigns etc. All information is displayed on the Bellwether Dashboard using a range of beautiful, informative graphs that provide valuable insights for business owners. Use the Bellwether system to have your finger on the pulse, monitoring Online & Offline Traffic plus your Staffs performance. Cutting-edge hardware, will count and track your customers in a non-invasive manner giving you live feedback on performance and comparison. Input your sales data into your dashboards to measure conversion rates, customer value & see star staff performers - real time. Integrate your website and social media channels to gain up-to-date analysis of your effectiveness in the fastest growing sales medium on the planet. 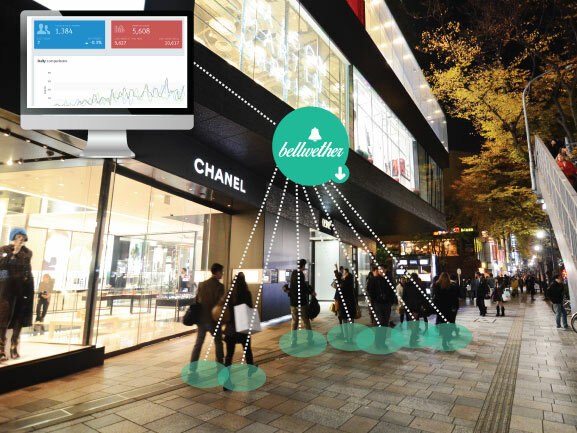 We support Bellwether and their vision to bring real-time tangible data to determine pedestrian movements around the CBD. This tool is easy to use and allows us to identify patterns and insights into visitation to city centre to contribute to our ongoing economic analysis. Mainstreet Tauranga hugely value the data we are able to retrieve from the Bellwether foot traffic data. Having quantifiable data showing foot traffic trends Downtown Tauranga is pivotal in contributing to us getting a solid sense of what events, initiatives and promotions in the city are effective in drawing more people, into the city. Every customer focused business in New Zealand deserves the right to make sound evidence supporting business decisions. By understanding how many people come through the door at any given moment, you gain an understanding of what is happening within your business. Whilst you may believe you currently have a good understanding, by gathering high quality real-world evidence on the go, with no staff interactions required - you can be responsive with your business. When you are spending money on marketing you need to know what is working so that you can do more of that. 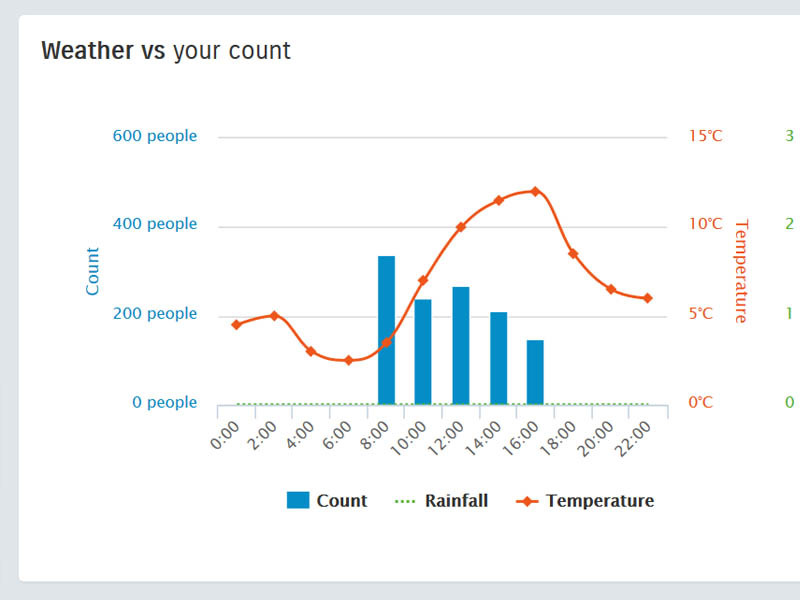 Being able to track your Foot Fall numbers allows you to analyse and monitor the impact of your marketing in real time. 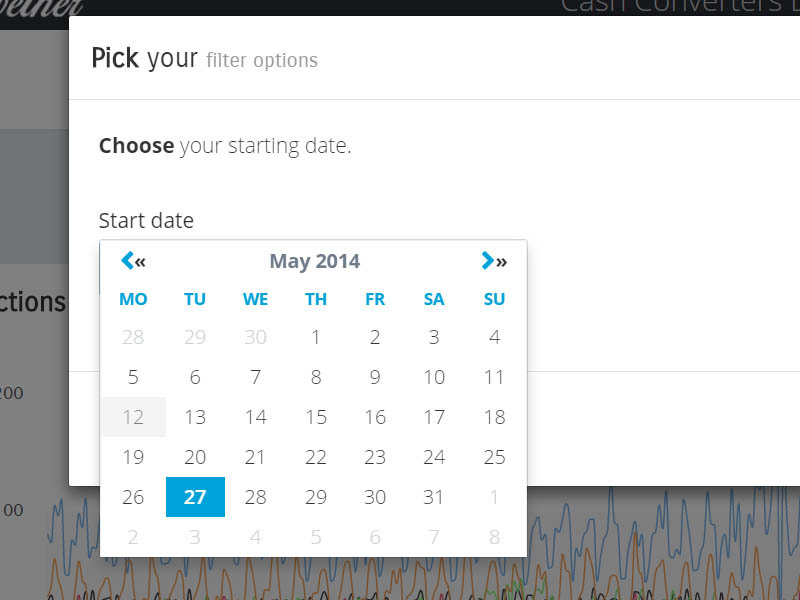 Contribute your sales data into the dashboard and see how these foot fall changes are affecting your bottom line. 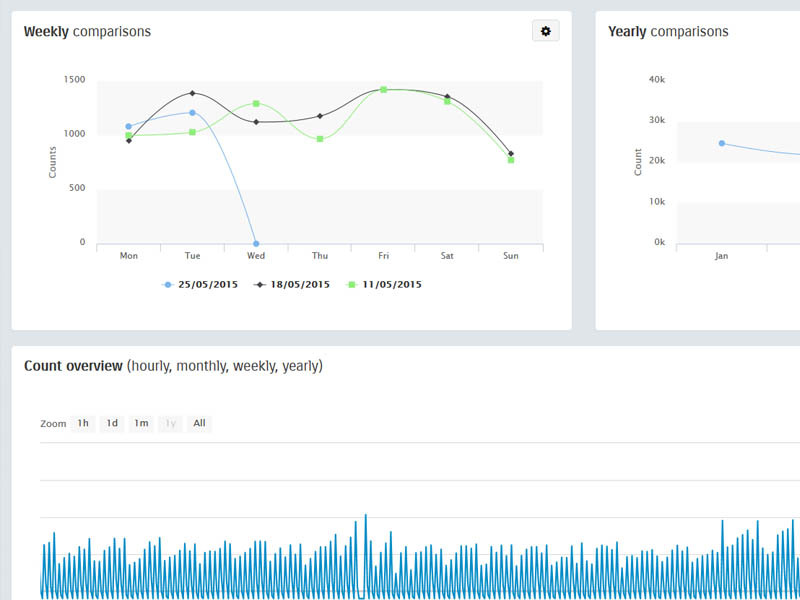 Using powerful analysis algorithms the Bellwether dashboard can utilise many different data channels. Measure not only the effectiveness on Foot Fall, but the effect on facebook likes, or website visits. Take it one step further including transaction numbers and sales data to have your conversion rates calculated. If you own more than one store, have multiple locations or belong to a franchise group then you would benefit from benchmarking your locations against one another. We have several clients who are in this situation and the competition is fierce. Look back historically down to the minute and understand what is affecting your business. A powerful search function allows you to look back as far as data sets exist. 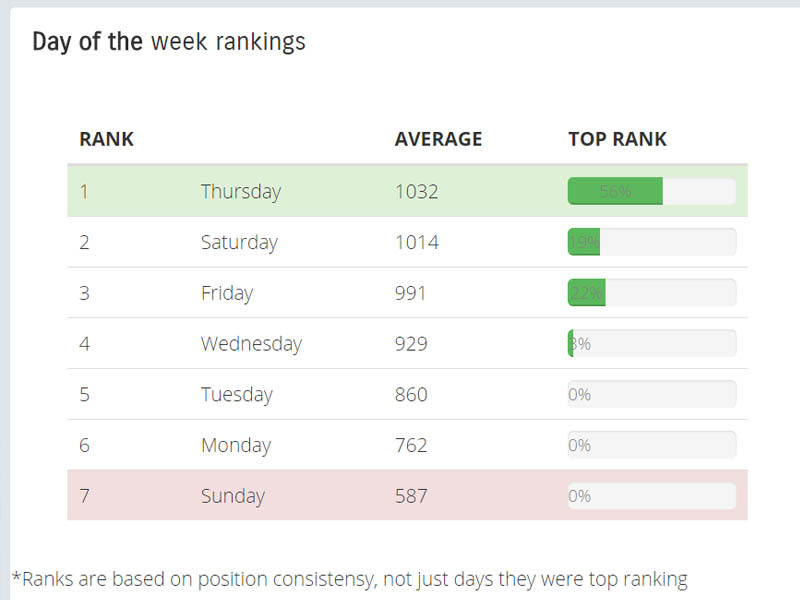 You can compare holiday weeks against standard weeks. Understand if events in your area do affect your sales. If you are away from the store it’s often hard to truly understand what is happening whilst you aren’t there. Bellwether can be your eyes and ears, providing you with real time data that showcases staff inadequacies in sales, performance or issues with current staffing rosters and timings. Your SPAM check failed. Please enter the correct value in the SPAM check box. Bellwether is a big-data cruncher, using innovative technology to improve business around New Zealand. 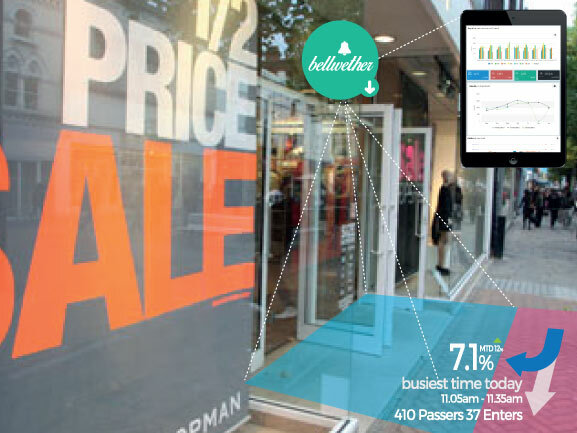 21mayAnother trend Elms sees emerging in the retail-sphere is the use of "big data". Copyright 2015 © Marcomms LTD. All rights reserved.